For the first time in centuries Russia’s currency has been given its own symbol, which is hoped will boost the ruble’s international recognition. Over the last month more than 280,000 people took part in a vote to choose the new symbol on the Central Bank of Russia (CBR) website. The chosen graphic uses the Cyrillic letter “P” which has its lower part crossed by a horizontal strip, Elvira Nabyullina, CBR chairman said. The version of the ruble symbol chosen got above 61 per cent of the votes, with the second most popular receiving about 19 percent of votes, the CBR said. In 2014 the CBR will also issue a 1 ruble coin with the new national currency symbol says CBR First Deputy Chairman Georgy Luntovsky. The result of the vote will positively influence the authority of the Russian currency, according to the vice-chairman of the Federation Council Committee on Budget and Financial Markets Nikolay Zhuravlev talking to RBC. 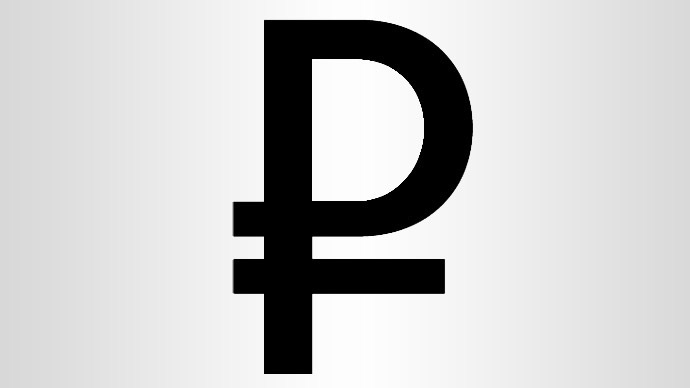 Although the ruble has a long history it has never had a specific symbol, so adopting one is a historic event, Zhuravlev added. The approval by Bank of Russia of a graphic symbol for the Russian national currency symbolizes the sustainability of ruble which is becoming increasingly popular in international markets, and is getting closer to other world currencies, the CBR said.